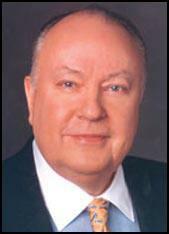 Roger Ailes, the son of a factory worker, was born in Warren, Ohio, on 15th May, 1940. After graduating from Ohio University in 1962 he joined KYW and eventually became executive producer of the Mike Douglas Show. In 1967 Ailes met Richard M. Nixon and the following year he joined his presidential campaign team. After Nixon's victory he founded Ailes Communications in New York. He continued to work in television (WCBS-TV) and in 1972 produced the Broadway musical, Mother Earth. Other successes included Hot-L Baltimore (1973) and The Last Frontier (1974). Ailes continued to be involved in right-wing politics and is credited with having "coached" Ronald Reagan to victory over Walter Mondale in 1984. His strategy included "television ads, designed by Madison Avenue executive Philip Dusenberry and featuring swelling violin music and emotional, issue-free imagery of weddings, flag-raising, home-buying and peaceful, scenic vistas." Ailes also helped George H. W. Bush defeat Michael Dukakis in 1988. This time he used visual imagery to exploit racial feelings. As Sheldon Rampton and John Stauber pointed out in their book Banana Republicans: How the Right Wing is Turning America into a One-Party State: "One featured a threatening photograph of William Horton - a black inmate who had escaped from a prison-furlough program and raped a woman-to suggest that Dukakis was unusually soft on crime. (Actually, Massachusetts was one of 45 states with prison-furlough programs at the time of Horton's crime.)" A second prison-furlough ad depicted a "revolving door" through which a line of white men entered prison, while blacks and Hispanics exited. "That phrase 'revolving-door prison policy' implies, of course, that Massachusetts criminals could, thanks to Governor Dukakis, slip out of jail as easily as commuters streaming from a subway station," observes Mark Crispin Miller. "But the image makes an even more inflammatory statement.... The 'revolving door' effects an eerie racial metamorphosis, implying that the Dukakis prison system was not only porous, but a satanic source of negritude-a dark 'liberal' mill that took white men and made them colored." Ailes wrote about his experiences in public relations in You Are the Message: Secrets of the Master Communicators (1988). Ailes was also employed by Californians Against Unfair Tax Increases (CAUTI), an organization funded by tobacco companies, Philip Morris and RJ Reynolds. Ailes Communications earned just over $1,000,000 in commission on the campaign against the Coalition for a Healthy California, which proposed a 25 cents a pack increase in tobacco tax. His strategy was to claim that the tax increase was unfair and unnecessary government interference. Ailes claimed that his opponents were "anti-smoking zealots". In 1991 Ailes joined up with right-wing radio talk-show host, Rush Limbaugh. 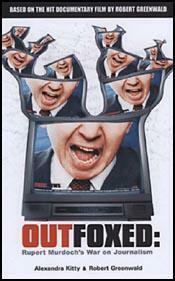 He converted Limbaugh into a television performer and became executive producer of his late-night show. In 1993 Ailes became president of NBC's cable channel Consumer News and Business Channel (CNBC) and the following year launched America Talking. Ailes also hosted his own nightly show, Straight Forward. Rupert Murdoch of News Corporation recruited Ailes in February 1996 to establish Fox News Channel (FNC). The channel was launched on 7th October, 1996. Ailes recruited a series of right-wing broadcasters such as Matt Drudge, Sean Hannity, Oliver North, Bill O'Reilly and Geraldo Rivera. In November, 2000, Fox News was accused of trying to ensure that George W. Bush was elected president. Later Ailes apologized for the actions of Fox News: "Let me begin by stating that Fox News, along with all the other television networks, made errors on election night which cannot be repeated, the biggest of which occurred in Florida. Fox News acknowledges here that it failed the American public on Election Night and takes full responsibility for this failure." Fox News promoted itself under the slogan "fair and balanced", but examinations of the channel's guest selection showed this was not the case. In 2001, when the media watch group Fairness & Accuracy In Reporting studied the guest list of FNC's flagship news program, Special Report, it found that Republicans made up 89 percent of Fox News' partisan guests, outnumbering Democrats 50 to 6. Avowed conservatives made up 71 percent of guests. To ensure the maximum audience for this right-wing propaganda, Rupert Murdoch actually paid cable operators $10 per subscriber to carry Fox News. During the first two years the station lost $150 million. However, Murdoch's policy enabled Fox News to broadcast to over 55 countries and by August, 2003, had over 80 million subscribers throughout the United States. 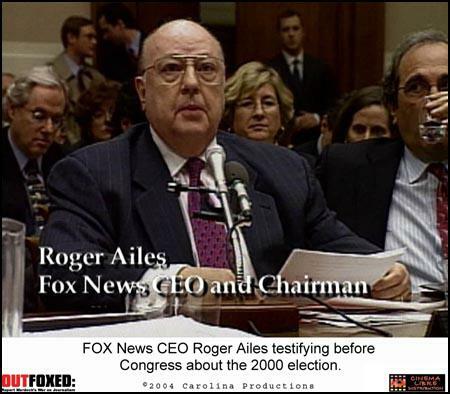 In late 2002, Roger Ailes confirmed the allegation in the book Bush at War. Bob Woodward claimed that Ailes had sent a note to Karl Rove in the White House suggesting policies to be adopted in the wake of the 11th September, 2001 terrorist attacks. Woodward described the note as advocating Bush take "the harshest measures possible" in order to maintain the support of the American public. Ailes said the note was not political advice but a message sent "as a human being and a citizen". In October 2003, Charlie Reina, a former Fox News producer, claimed: "Editorially, the FNC newsroom is under the constant control and vigilance of management. The pressure ranges from subtle to direct. First of all, it's a news network run by one of the most high-profile political operatives of recent times. Everyone there understands that FNC is, to a large extent, 'Roger's Revenge' - against what he considers a liberal, pro-Democrat media establishment that has shunned him for decades. For the staffers, many of whom are too young to have come up through the ranks of objective journalism, and all of whom are non-union, with no protections regarding what they can be made to do, there is undue motivation to please the big boss." Charlie Reina went onto argue: " The roots of Fox News Channel's day-to-day on-air bias are actual and direct. They come in the form of an executive memo distributed electronically each morning, addressing what stories will be covered and, often, suggesting how they should be covered. To the newsroom personnel responsible for the channel's daytime programming, The Memo is the bible. If, on any given day, you notice that the Fox anchors seem to be trying to drive a particular point home, you can bet The Memo is behind it. The Memo was born with the Bush administration, early in 2001, and, intentionally or not, has ensured that the administration's point of view consistently comes across on FNC. This year, of course, the war in Iraq became a constant subject of The Memo. But along with the obvious - information on who is where and what they'll be covering - there have been subtle hints as to the tone of the anchors' copy." Another former Fox News journalist, Matt Goss, admitted: "Let me just say that the right-wing bias was there in the newsroom, up-front and obvious, from the day a certain executive editor was sent down from the channel to bring us in line with their coverage... To me, FNC reporters' laziness was the worst part of the bias. It wasn't that they were toeing some political line (though of course they were; see the embarrassing series on property rights from 2000), it was that the facts of a story just didn't matter at all." This view was supported by other members of staff who appeared in Robert Greenwald's, Outfoxed: Rupert Murdoch's War on Journalism (2004). An investigation by Program on International Policy (PIPA) at the University of Maryland and Knowledge Networks discovered that "a series of seven US polls conducted from January through September of this year reveals that before and after the Iraq war, a majority of Americans have had significant misperceptions and these are highly related to support for the war in Iraq." The report went on to argue that those "who primarily watch Fox News are significantly more likely to have misperceptions, while those who primarily listen to NPR or watch PBS are significantly less likely." For example, fifty-seven percent believed that Iraq gave substantial support to Al-Qaeda, or was directly involved in 9/11 attacks, sixty-nine percent believed that Saddam Hussein was personally involved in 9/11 and twenty-two percent believed the falsity that weapons of mass destruction had been found in Iraq. In the composite analysis of the PIPA study, 80 percent of Fox News watchers had one of more of these misperceptions, in contrast to 71 percent for CBS and 27 percent who tuned to NPR/PBS. Ailes used a similar strategy in 1988, when he worked with Lee Atwater to mastermind George H. W. Bush's come-from-behind victory over Michael Dukakis. The Bush/Quayle '88 campaign combined morning-in-America imagery with ads that ridiculed Dukakis through deceptive visual imagery. One TV spot took Dukakis to task for pollution in Boston Harbor, displaying a sign that said, "Danger / Radiation Hazard / No Swimming." The sign actually had nothing to do with pollution or Dukakis. It was posted to warn Navy personnel not to swim in waters that had once harbored nuclear submarines under repair. The most egregious ads, however, used visual imagery to exploit racial feelings. One featured a threatening photograph of William Horton - a black inmate who had escaped from a prison-furlough program and raped a woman-to suggest that Dukakis was unusually soft on crime. (Actually, Massachusetts was one of 45 states with prison-furlough programs at the time of Horton's crime.)" A second prison-furlough ad depicted a "revolving door" through which a line of white men entered prison, while blacks and Hispanics exited. "That phrase 'revolving-door prison policy' implies, of course, that Massachusetts criminals could, thanks to Governor Dukakis, slip out of jail as easily as commuters streaming from a subway station," observes Mark Crispin Miller. "But the image makes an even more inflammatory statement.... The 'revolving door' effects an eerie racial metamorphosis, implying that the Dukakis prison system was not only porous, but a satanic source of negritude-a dark 'liberal' mill that took white men and made them colored. To me, FNC reporters' laziness was the worst part of the bias. It wasn't that they were toeing some political line (though of course they were; see the embarrassing series on property rights from 2000), it was that the facts of a story just didn't matter at all. The idea was to get those viewers out of their seats, screaming at the TV, the politicians, the liberals - whoever - simply by running a provocative story," he wrote in October 2003. Let me begin by stating that Fox News, along with all the other television networks, made errors on election night which cannot be repeated, the biggest of which occurred in Florida. Fox News acknowledges here that it failed the American public on Election Night and takes full responsibility for this failure. These errors have led to much self-examination of the processes we used on election night, how the Voter News Service operated on election night, and our membership in the Voter News Service. Through our self-examination and investigation we have determined that there was no intentional political favoritism in play on election night on the part of Fox News. In hindsight we made a significant error in relying on VNS data alone, although that was the only data available. Obviously, it would have been better to have at least one other source of data, but up until now economic considerations have made this unfeasible. We look at VNS in much the same way the networks combine resources for pool cameras, the Associated Press, etc. As you may know, the Fox News Channel launched on October 7, 1996. From the moment we launched we intended to compete with the big established television news networks. In order to cover elections in a competitive manner, we believed we would have to join VNS. But it was not an easy decision for us. First and foremost, membership in VNS was (and is) very expensive, especially for what was, at the time, a fledgling television network. But, after many internal discussions of both editorial and financial natures, we decided to join. I understood VNS had a good, solid record of calling races until the 2000 elections. For example, 99% of the calls which VNS made over the last two election cycles have been accurate; 100% of VNS' calls in 1998 were accurate. Now, however, we feel the purpose, intent, processes and models of VNS must be carefully examined in a formal manner and we are willing to spend more money as a VNS Member to make this examination happen. Let me assure you that Fox News operates in the interest of the public and attempts at all times to conduct itself with that fact in mind. Since election night, the issue of voter suppression has been written about and discussed. Would it have made any difference in voter turnout if the television networks waited until all polls in the state of Florida, and in every other state for that matter, had closed before declaring a winner. When Fox News called Florida for Al Gore at 7:52 pm, there were eight minutes remaining for citizens in the Florida panhandle to vote. Well, I don't know the answer to that question, but to remove all doubt it is a simple enough remedy for a television network to wait until all polls in a given state have closed before declaring a winner in that state. So Chris Wallace says Fox News Channel really is fair and balanced. Well, I guess that settles it. We can all go home now. I mean, so what if Wallace's salary as Fox's newest big-name anchor ends with a whole lot of zeroes? So what if he hasn't spent a day in the FNC newsroom yet? The roots of Fox News Channel's day-to-day on-air bias are actual and direct. They come in the form of an executive memo distributed electronically each morning, addressing what stories will be covered and, often, suggesting how they should be covered. To the newsroom personnel responsible for the channel's daytime programming, The Memo is the bible. If, on any given day, you notice that the Fox anchors seem to be trying to drive a particular point home, you can bet The Memo is behind it. The Memo was born with the Bush administration, early in 2001, and, intentionally or not, has ensured that the administration's point of view consistently comes across on FNC. This year, of course, the war in Iraq became a constant subject of The Memo. But along with the obvious - information on who is where and what they'll be covering - there have been subtle hints as to the tone of the anchors' copy. For instance, from the March 20th memo: "There is something utterly incomprehensible about Kofi Annan's remarks in which he allows that his thoughts are 'with the Iraqi people'. One could ask where those thoughts were during the 23 years Saddam Hussein was brutalizing those same Iraqis. Food for thought." Can there be any doubt that the memo was offering not only "food for thought", but a direction for the FNC writers and anchors to go? Especially after describing the U.N. Secretary General's remarks as "utterly incomprehensible"? The sad truth is, such subtlety is often all it takes to send Fox's newsroom personnel into action - or inaction, as the case may be. One day this past spring, just after the U.S. invaded Iraq, The Memo warned us that anti-war protesters would be 'whining' about U.S. bombs killing Iraqi civilians, and suggested they could tell that to the families of American soldiers dying there. Editing copy that morning, I was not surprised when an eager young producer killed a correspondent's report on the day's fighting - simply because it included a brief shot of children in an Iraqi hospital. Of the many reasons for Ailes's current success, his acolytes and rivals top the list with his flat-out refusal to lose. He takes what might be called a relativistic approach. To win, you don't have to be the best candidate - you just have to look like the best candidate. And that can be done just as easily by bringing your opponent down a few notches as by building yourself up. Knockout. The same strategy, it turns out, can be applied to cable news ratings wars. "It's a bit of a one-two punch," says an executive at a competing network. "People find you by channel-surfing. The Fox screen has so much more going on - more whooshes and things spinning, more action, more things changing - that even if viewers don't like the coverage, when they get to MSNBC and CNN, they seem old and stodgy by comparison." Ailes's all-or-nothing competitive strategy, this source says, can be summed up as: "Watch me. And if you don't watch me, then don't watch the competition either." Perhaps not surprisingly for a man who ran a communications company, Ailes says that keeping information flowing is a crucial part of his success. "The more open the operation, the better I think in general," Ailes says. "I go down and put a podium in the newsroom every quarter and I bring them up to date and answer questions for as long as they want to ask them." Employees feel more connected to the group enterprise, Ailes says, and he often gets good ideas from their point of view. "I'm always surprised when leaders don't do that," Ailes says. "When I was down in those pits I used to assume the suits were sitting up there all the time trying to figure out some way to screw me. And that's a natural reaction if you're cut off from management." The problem with leaders who aren't open to dialogue with their staff, Ailes says, is fear. "A leader who does not fear making a decision naturally has no fear of openness. I might make a countercall, because I'm relying on my own experience, or because there are factors they don't know about, but I'll listen to everybody and then I'll say 'No, let's do it this way and I'll take the consequences of that.' "
Ailes's aggressive strategy has been paying off in spades for FNC's owner, News Corp. boss Rupert Murdoch. When Murdoch first brought Ailes on board in 1996, the News Corp. chairman assumed it would take more than a year to get FNC up and running. "I told Rupert we could launch in six months, and he thought I was nuts," Ailes says. But General Electric and Microsoft were planning to launch MSNBC that July and Ailes, always the competitor, couldn't let that go unanswered. Ailes went into overdrive - hiring a staff, building studios, arranging licensing deals, and generally convincing everyone that if they all pulled together, they could not just launch within six months but give CNN a run for its money within a decade. And what about those who thought Ailes was nuts? He proved them all wrong. FNC launched on schedule, on Oct. 7, 1996, and by January 2002 was besting CNN's ratings on a regular basis. For Ailes, it's all about leadership. "You want everybody to be able to perform over their head whenever they have to," he says. "It's a matter of once you know you have a mission and you have a date to deliver it, then it really has to be an act of God to stop you. That's my view of leadership."